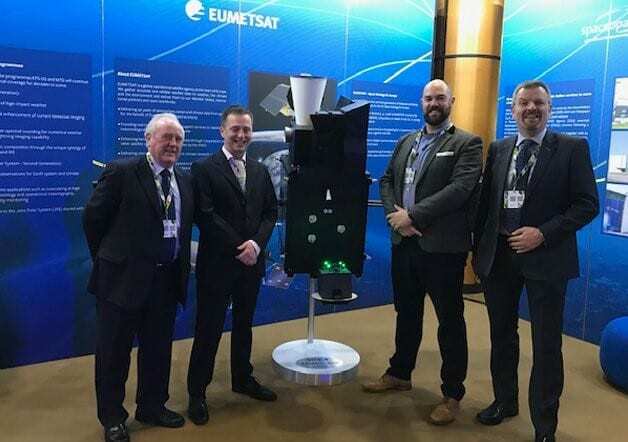 A huge congratulations to New Frontiers participant, Ian Kiely, and his team at Drone Consultants Ireland on being announced as the winner of the 2018 European Satellite Navigation Competition (aka the ‘Space Oscars’). A Media Cube (IADT) company, Drone Consultants Ireland offers a range of aerial solutions and develops UAV ideas for companies looking to improve efficiency and safety. The company also runs Drone & Tech Expo in the RDS. The European finals of the competition took place in Marseille as part of European Space Week. Drone Consultants Ireland’s entry, Jack in the Box, is used for UAV Persistent Surveillance. Self-contained, tethered, and aircraft-deployable, the system provides real-time visual data and pinpoints locations to assist emergency services and disaster relief in remote or inaccessible areas. It monitors up to 300 square kilometres from a fixed position, with flight times up to 500 hours. It can also operate in adverse environments without risking lives. Jack in the Box can provide reliable positioning data to support emergency services, environmental protection, government bodies, civil defence, and border control on land, at sea, and in remote locations. It offers benefits such as reliable real-time data, extended flight times, re-usable hardware, the ability to network multiple devices, variable payload options, and cost-efficiency compared to standard aircraft. “It is uplifting when a New Frontiers graduate flourishes on the programme and Ian’s success is well deserved. “The real value comes from the mentoring and financial supports available through the Media Cube. We are always looking to support entrepreneurs and innovators with a thirst for international success. It’s wonderful to see innovators like Drone Consultants Ireland being acknowledged and awarded for the risks they take. A considerable amount of effort and research made the Jack in the Box vision a reality. We look forward to working with Ian and Drone Consultants Ireland on future projects’. The Media Cube works in partnership with Enterprise Ireland and the Local Enterprise Office in the Dún Laoghaire-Rathdown Council and beyond. It provides state-of-the-art facilities including office space, meeting rooms, boardroom and canteen facilities, serviced reception areas and of course the best sea views from its rooftop terrace!